Learn how to naturally stimulate your thyroid gland. You may not lose weight at the same rate you did before. You may not lose weight at the same rate as someone else. You may not get back to the size you were. Be realistic about your goals and objectives and realize that being a certain weight or size is not always the best goal when living with hypothyroidism. Having more energy and reducing feelings of fatigue and depression are usually more important to your quality of life. We have an all natural supplement called Thyax that can help you deal with your underactive thyroid. Click here for more information on our product. Make lifestyle changes. Hypothyroidism will be with you for the rest of your life, so healthy eating, exercising and taking care of yourself must be priorities. Make time for healthy eating and regular exercise. Commit to preparing food, exercising and taking care of yourself. Put yourself on your to-do list each day. Be optimistic and acknowledge the positive changes you have made--no matter how small. Journal about the highs and lows of the journey as an outlet for frustration and as a way to look back at your progress when the going gets tough. Change doesn't happen overnight. It takes small steps to get from where you are to where you want to be. Stay focused and take it slow. Do the best you can. Take a step further each day, pick yourself up when you stumble, and keep your eyes on the goal. Few worthwhile outcomes are easy or quick. Be wary of the latest fad in weight loss or ploys for people with hypothyroidism. Reduce your use of stimulants. When trying to fight fatigue, stimulants like caffeine may be a way of life. Hypothyroidism makes the adrenal glands susceptible to overwork and burnout. The adrenal glands can only take so much stimulation before they begin to under-function. Weaning off of stimulants, including coffee, soda, and tea, can help the adrenal system heal and recharge. Decrease the number of carbohydrates you eat. Research shows that individuals with a low thyroid are more successful when eating slightly less--about 45-50% of total calories coming from carbs. Limiting your intake to the low end (about 50% carbs) will help you accomplish this. At 50% carbs, your diet will probably result in about 30% protein and 20% fat. Choose more complex carbs. 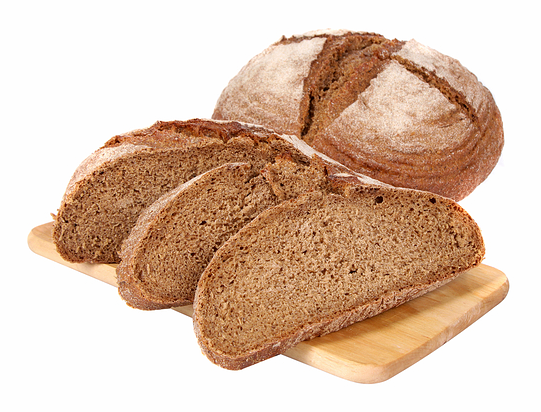 Enjoy plenty of fresh fruits, vegetables, and whole grains (whole wheat bread and pasta, brown rice, wheat germ). These foods are nutritionally superior to their refined counterparts. Limit sugary (simple carbohydrate) foods such as pies, cakes, cookies, candy, soda, ice cream, and chips. These foods stimulate high insulin production. Avoid eating carbohydrates by themselves for meals or snacks. Be sure to include a protein source at the same time. Protein is digested more slowly, helping to slow down the release of insulin. Increase your fiber intake to 30-40 grams per day. People with hypothyroidism often experience sluggish digestion and constipation. A high-fiber diet can help move things along so to speak while increasing satiety so that you never feel hungry. Be sure to slowly increase your fiber over time. To meet this goal, you may also need a fiber supplement such as Metamucil. Drink 8-12 cups of water every day. Metabolism requires water, so not drinking enough will hurt your weight loss potential as well. When increasing your fiber intake 30-40 grams, water is even more important. Drink additional water to compensate for perspiration from exercise and hot weather. Hypothyroidism does cause weight gain--typically 10-20 pounds. Gaining more than 20 pounds can usually be attributed to fatigue that limits your activity, not to the disorder itself. When you feel fatigued, you don't feel like exercising. This can lead to a vicious cycle since not exercising can result in greater fatigue and so on and so on. Physical activity and exercise are keys to weight control and to decreasing the effects of fatigue. Get regular aerobic (cardio) exercise. Individuals with a low thyroid can have low levels of serotonin, the brain chemical involved in appetite control, depression, and sleep regulation. Just thirty minutes of aerobic (cardio) exercise, five times per week can help boost serotonin levels to decrease these symptoms. 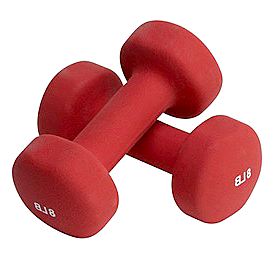 Likewise, strength training helps increase metabolism, which is also suppressed in those that are hypothyroid. Although you may not have much energy initially, get moving! The more you move the more you can boost the energy you will have to exercise each day. Reduce the stress in your life. Stress causes many people to make unwise food choices and overeat. Reactions to stress are controlled by the adrenal glands, which are overworked and underactive thyroid in patients. Stress also increases cortisol levels, increasing hunger and affecting insulin levels. Reducing stress is an often overlooked factor in weight loss. Practice deep breathing. Many times the increased weight and lack of physical fitness causes those with hypothyroidism to pant for air, taking shallow, short breaths. Deep breathing exercises can help you take in more oxygen and release more carbon dioxide with each breath and can help with weight loss, stress reduction, and relaxation. Hypothyroidism is a life-long condition. With careful management, people with thyroid disease can live healthy, normal lives. The best way to take control of your thyroid health is to work with your medical provider to develop a treatment plan that includes nutrition, exercise, and stress relief. Try Progressive Health's all natural vitamin supplement Thyax to help with your underactive thyroid. Thyax can help boost your low thyroid and help with weight loss. Click here to place an order today!